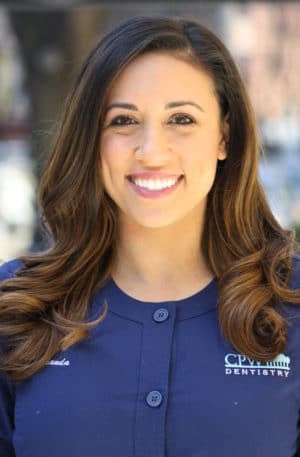 Registered Dental Hygienist, Clinical Outreach Coordinator, and Invisalign Concierge – Miranda received her bachelors in Dental Hygiene from the University of New Haven. She enjoys learning and growing in her field and has 8 years of dental hygiene experience working in various environments including community health, pediatrics, cosmetic dentistry, and higher education. Miranda enjoys educating and motivating people to see the value in optimum oral health. She was a clinical instructor at UNH and loves the connections she formed with her patients and students. Miranda has a warm, friendly presence, and ensuring a positive and comfortable visit is her number one priority. Fun fact: When Miranda is not working as a Hygienist, she is playing actress on the big screen and local theater stages. You may spot her in various national commercials and see her perform on stage in NYC. She believes a work-life balance is the key to staying happy and healthy.